For any questions about the 4CITIES application process, this page should be your first stop. If after reading through the FAQs and the rest of the site your question remains unanswered, please email us. When will the application window for 2020 open? The application window for the cohort beginning in September, 2019, is now closed. There will be two application windows for the cohort beginning in September, 2020. For students applying for a scholarship, the application window will open in September, 2019, with a final deadline of 15 January, 2020. All students applying before this deadline will automatically be considered for a scholarship. Self-paying students are invited to submit their applications from 16 January, 2020, until 15 March, 2020. Applications can be submitted until 12:00 CET (midday in Brussels) on the deadline day. No applications will be reviewed until the application window closes. Students who are denied admission during the scholarship window but would like to be considered for a self-paying spot can simply send us an email letting us know – there is no need to resubmit your application. When will application decisions be communicated? Scholarship applicants will be notified of their admission status via email by 01 March. Self-paying applicants will be notified by 15 April. The first semester of 4CITIES takes place in Brussels, Belgium. In 2019, classes will begin on Monday, 16 September. An information packet with all relevant details is sent to incoming 4CITIES students once all admissions decisions are finalised. How do I apply for 4CITIES? Applying for 4CITIES is easy. Simply (1) register for the online application module, (2) enter the required information and upload the required documents before the application deadline, then (3) wait for our decision. The most time-consuming part of the process is the gathering and preparing of documents for upload, particularly the English language proficiency requirement. Make sure to read through the entire online application module as soon as you register, as it contains updated information not available on the website. Can I apply for multiple tracks (classical, research, practice)? No, applicants can only apply for one of the three tracks and must indicate their choice in the application module. For more information on all required documents, see How to Apply. Motivation letters should not exceed two pages. Do I have to submit official hardcopies of any documents? Yes, but only if you are offered admission to 4CITIES. For the application, you will only need digital files (PDF) of the required documents to submit online. What languages can application materials be submitted in? 4CITIES is an English language program. However, the diploma and marks list will be accepted in English, Dutch, French, or German. If either the official diploma or official marks list is in another language, then two versions must be submitted: the original and a certified translation into English, Dutch, French, or German. Recommendation letters and description of activities must be submitted in English. Other required documents may be submitted in their original language. Which academic backgrounds are eligible? 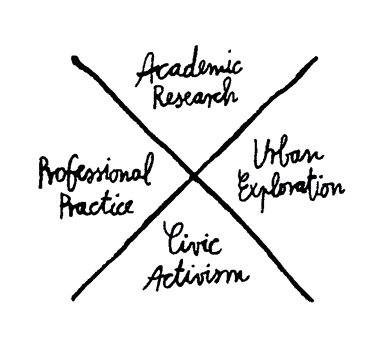 4CITIES seeks students who are informed, engaged, experienced, and highly motivated, and recognises that aspiring urbanists travel many different roads. 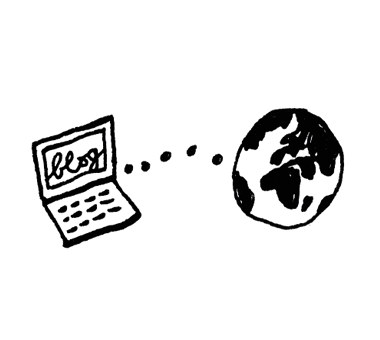 Applicants can come from anywhere in the world and are eligible for 4CITIES if they have completed a 180 ECTS academic bachelor degree or its equivalent in geography, sociology, literature, cultural studies, architecture, planning, economics, political science, public management, tourism, history, criminology, leisure studies, media studies, or a similar discipline. Prospective applicants with a degree from a field not included in the list above should contact us. Please explain how your degree has helped prepare you for 4CITIES and provide more information on the specific coursework you have undertaken. What if I haven’t finished my studies yet? Students may apply even if they have not yet completed their studies. However, they must have completed at least the required bachelor degree (or equivalent) before the start of the 4CITIES academic year. If you have not received your diploma yet, you can instead upload proof of enrolment this year and if possible a transcript that includes all completed ECTS. How many applications are accepted? 4CITIES offers admission to approximately 40 students each year. These are selected from a pool of 600-800 qualified applicants. A strong academic record and proficiency in English are prerequisites. Beyond these, the motivation letter and recommendations are weighted most heavily. 4CITIES looks for free-thinking, academic students who are also engaged in urban and societal issues and have an informed perspective. Yes. Applicants who are considered to be qualified for 4CITIES but are not initially offered admission due to limited space are placed on a waiting list. The position on the list (1st, 2nd, 3rd, etc.) will be clearly communicated, and wait-listed applicants will be informed if and when a place opens up. Can I appeal the decision if my application is not accepted? The decisions of the 4CITIES Application Committee are final and irrevocable. However, an appeal procedure is possible in certain special cases. I emailed 4CITIES about a problem with my application but have not received a response. What should I do? If something went wrong or you have a problem you can contact us. Do not forward your email to other addresses. If you do not hear from us within 5 working days, feel free to send us a polite reminder. Please be precise, formal, and complete in your question. My application was accepted – what happens next? Congratulations! We will provide a list of instructions for the next steps after admission, but you should immediately begin the visa application process. Initial registration for 4CITIES is at the Vrije Universiteit Brussel (VUB), which serves as the hosting and admitting university for the 4CITIES program. All necessary information will be provided. Students from EU countries do not need a visa. However, all third-country (non-EU) students do. Be sure to apply for a long stay multiple entry student D visa for Belgium to start with. You should make your first entry to Belgium on a student visa and not a tourist visa in order to avoid long administrative procedures and the risk of having to travel back to your home country once your tourist visa expires. National embassies handle visa applications. For 4CITIES students, the first student visa application should be made at the Belgian embassy nearest you. For more information, visit the Belgian website for foreign affairs. When should I begin the visa process? The visa process should be started immediately after you have received an acceptance letter from 4CITIES. It cannot be organised beforehand. European students do not need any visa. If you come from a non-EU country (“third country student”), you will have to apply for a visa for each host countries (Belgium, Austria, etc.). 4CITIES will try to provide information and assistance, but procuring visas is the individual responsibility of each student. The duration of the visa procedure depends on your home country and on the agreement that exists between your country and the one you’re going to study in. There are visa procedures which can take up to six months, in extreme cases. In our experience three to four months are quite common. It is best to start very early with gathering information in order to make sure you are ready whenever you receive the papers sent by us. How often do I have to ask for a visa during my studies? Usually twice per year – once per semester. It depends on how often you change countries. Non-EU Classical Track students will need four visas, for example: Belgium, Austria, Denmark, and Spain. What does this mean for my personal organization? When you arrive at your first university, you have to find a room and organize your time table. During the first semester (September-January), you will register and apply for a residence permit based on your student visa. Once you have obtained your residence permit you should also apply for the visa for your next university. Are there additional requirements for students from China? Students from China please keep in mind that you need an APS certificate. We advise you to contact us before contacting the Belgian or any other European embassy. Where can I look for additional visa information? No. While 4CITIES will provide information, it is up to each student to independently find their own housing. Most students employ a variety of methods, from local online listings to social media groups that exchange housing information and opportunities. 4CITIES will provide guidance in these matters, and online alumni networks can be invaluable sources. Housing costs vary depending on location, amenities, and more. Most students pay between 300-500 EUR per month to rent a room in a shared flat. How much does 4CITIES cost? The 2019-2021 participation fee for 4CITIES (which includes tuition and administrative fees at all six universities) will be 4500 EUR per academic year for EU nationals and 9000 EUR per academic year for non-EU nationals. Please keep in mind that 4CITIES is a two-year program, and that the participation fee does not include travel, accommodation, food, visas, or other costs of living. How much should students expect to pay for monthly expenses? While the answer depends a lot on the lifestyle of each student, most students report spending 700-800 EUR per month on accommodation, food, transport, and entertainment, with some able to get by on as little as 500 EUR per month. Certainly, 1000 EUR per month is more than sufficient. 4CITIES offers approximately 20 Erasmus Mundus Joint Master Degree (EMJMD) scholarships per year. Please see our fees & scholarships page for more information. Also, once registered, please see section 5 of the online application module for further details.